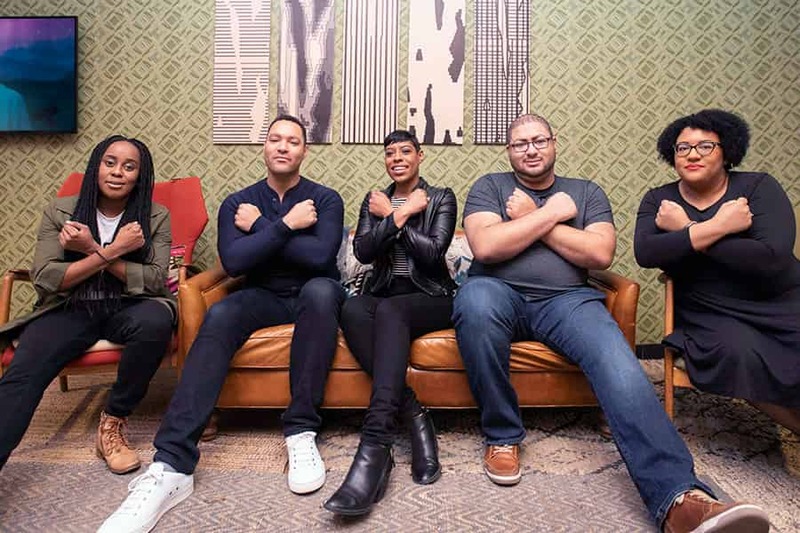 Wakandacon is a real thing, and we are the creators. We are siblings and friends coming together to celebrate the power of achievement and representation. Join us as we turn Wakandacon into a reality where fantasy, pride, and technology collide! Born in Chicago, he studied fine art at Yale University, graduating with honors and distinction in the major. He now runs his own graphic design and web development studio. His work is strongly influenced by his classical fine arts training in drawing, painting, photography, color, and composition. In addition, David is a programmer. He is absolutely enamored with the idea of Wakandan strength through technology, and a strong proponent of diverse voices and viewpoints in the tech industry. Ali Barthwell is a writer, director, performer, and teacher. She is an alumna of Wellesley College. Ali has toured the country with the Second City Touring Company and now is an instructor of satire and comedy. In addition to her time as a performer, she is a television critic and veteran of the board game industry. Ali believes in Wakanda’s devotion to equality and creativity. Her career in satire and performance gave Ali the strength to speak truth to power and she hopes to inspire others to do the same. As a social worker, Matt strongly believes in a Wakandan view of the future – of being a beacon of outreach and support to the world, and of looking after one another as if we were one single tribe. Lisa Beasley is a producer, comedian, actor, and entrepreneur from Gary, Indiana. She is a proud HBCU alum. As an actor and comedian, she has been seen on ABC, NBC, Chicago’s Windy City Live, Comedy Central, and has performed in theaters all over the country. Currently living in Chicago, IL, Lisa is the Co-founder & Creative Director for The Nova Collective, a company devoted to transforming company cultures. She currently tours the country with 3Peat Comedy and is a writer for Cards Against Humanity. 21st century griot – storyteller, filmmaker and producer whose content examines Otherness, identity, and representation within contemporary audio-visual culture. Taylor is the founder of Blessed Press Production, a production company which aims to bring to life stories of faith. She has experience working on both small and large scale productions, including commercial work, digital content, TV and film. A Cleveland native, and currently residing in Chicago, Taylor achieved a BA in English Literature from Dartmouth College (2008) and completed postgraduate study at the University of Edinburgh in Scotland where she received a Msc in Media and Film Studies. Both personally and professionally, Taylor is committed to being a change agent who advocates for opportunities of diversity, equity, and inclusion. She does this FOR THE CULTURE.